Here's something I wrote for an NPR invitation to listeners to describe a favorite picture in 150 words or less. The picture I am describing was taken perhaps in 1995. Until the farm closed, perhaps 6 years ago, my family got together every July 4th to pick strawberries, taking the ferry from Kingston, Ontario to Wolfe Island. 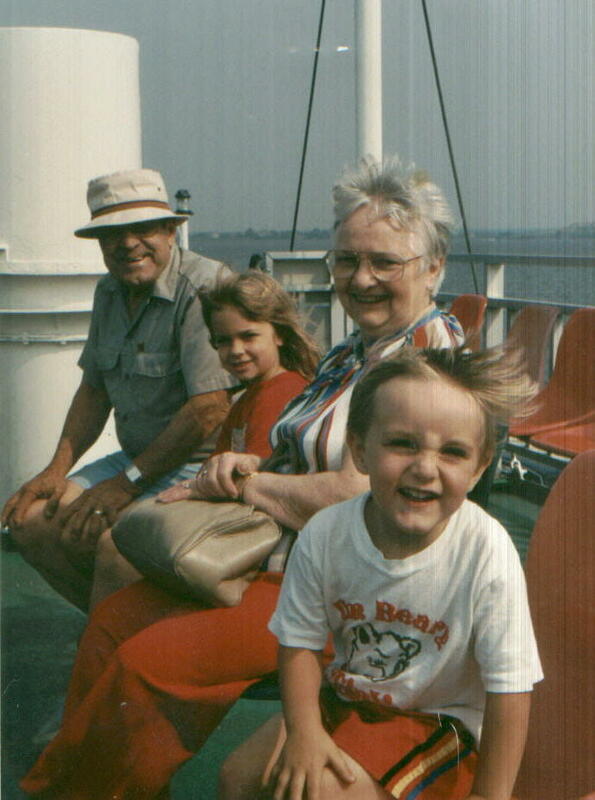 In my picture, my son Nick, my niece Ashley and my parents are seated on the ferry, wind blowing their hair back, smiling and squinting into the sun. I can practically smell the St Lawrence River, and feel the cool spray blow across the bow of the huge vessel, and the gentle rocking as we cross open water. Nick is a teenager now, and Ashley starts college in the fall. My father suffered a stroke and is now bedridden and silent; my mother has dementia. But this picture takes me back to a summer day when the cares of life were behind us, and what lay ahead was only the sweet sticky promise of strawberry shortcake.